Salford Group offers an array of planting and seeding, fertilizer application, and harrow attachments for a variety of field finish options. Salford harrow systems are routinely added to new, non-Salford tillage equipment to help producers improve the performance of their machinery. The Flex Finish is a hydraulically adjustable rolling basket option available on the Independent Series models I-1100, I-1200, I-2100 and I-4100. Salford AerWay harrow attachments are exceptional for dethatching pasture land. Adding attachments to the Independent series tools allows producers to combine industry leading residue management with cost saving, environmentally conscious nutrient stewardship. Salford SwitchBlade Shank attachments allow for anhydrous application or deeper banding of liquid and dry fertilizers. 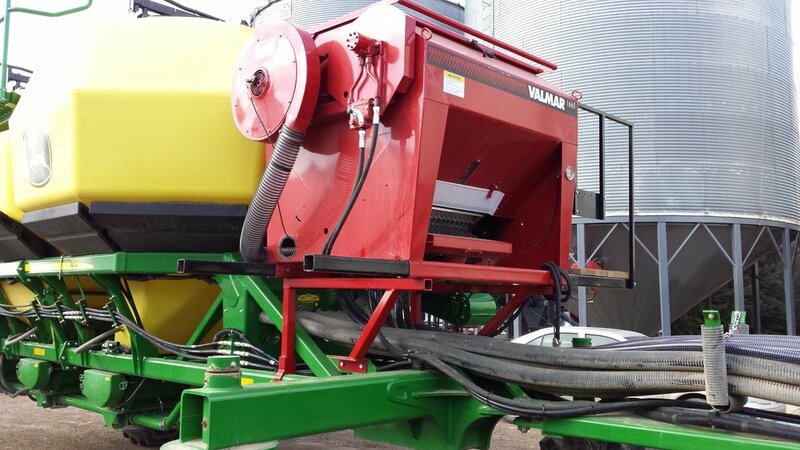 Salford Valmar row-crop applicators for inter-row seeding apply seed at exactly the rate you desire. Salford Valmar ST-8 applicators are ideal for producers wanting to capitalize on the lower cost of granular fertilizer. Salford Valmar ST-6 applicators are ideal for producers wanting to capitalize on the lower cost of granular fertilizer.